So I bought a used Key2 at the end of December. It was in good shape but the screen had a couple large scratches on it. Got the screen replaced on February 1. A couple days ago, I noticed the left side of the screen starting to lift. Had to switch back to my Pixel 2 until I could get it in today to get it fixed. I couldn't believe how quickly I got super frustrated with using the Pixel. Typing on glass again just made me crazy. I just love the keyboard on this phone. Not just for typing but also for the shortcuts which I use for opening all my apps. It really gives you a unique way to interact with your phone compared to every other phone out there. I know it's not for everyone and that's fine, but I just love my Key 2! Two days without it was more than enough for me. the_boon, rarsen, coffee-turtle and 4 others like this. Glad you're enjoying it. Pixel 2XL is an amazing camera phone, even 1.5 years later. But obviously typing on it is gonna be underwhelming just like any other piece of glass. Yeah. I sold a Pixel 2 XL to get this phone. Loved that phone too but wanted to try a BlackBerry again. Kept my Pixel 2 for photos and as a back up phone. I did take it back to the place that did the work. They re-glued it and hopefully it sticks this time. 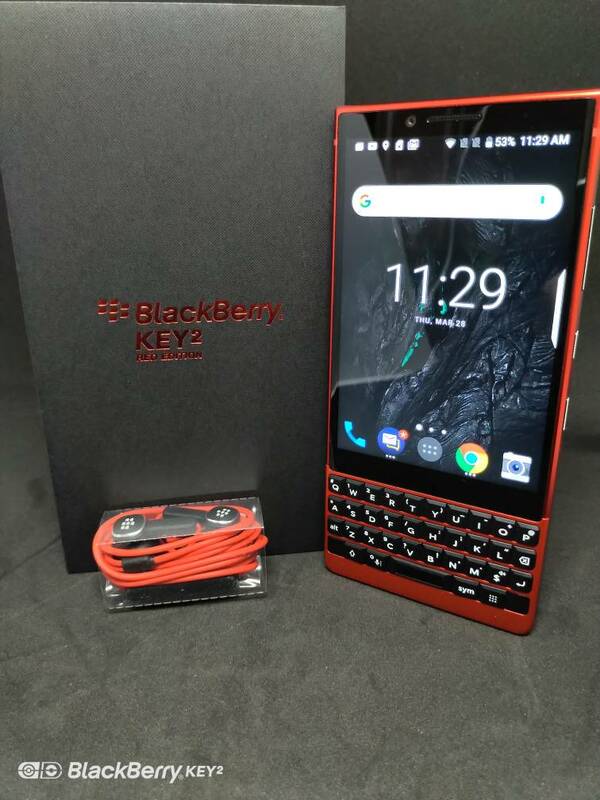 Well I just got my KEY2 Red Edition and Love it! I had a Z10 for three years before I got my Priv for three years and 3 months. Result of the keyboard statistic? 900.000 words on the keyboard and 2.500 off on the screen. The screen will do for the odd YouTube search or password entry - but even the latter is better on the physical keyboard. I skipped the KeyOne (my mother has that one) and finally got the Key2. Maybe it is the key travel? Desired on a laptop but less desirable on a phone? The keys on the Priv had less travel than the Key2. On the Priv I felt at home right away coming from my Z10. The Key2? It is nice, it is good - but I may need some more time to get fully used to it. Rico4you and Spidey134 like this. the key 2 is the best phone out! Bob80220, Bravestar79 and Rico4you like this. I can't even fathom using another phone. Seriously. I got a Samsung S10+ from my work and just couldn't use it. It's great for media consumption/gaming but not to get s**t done like my Key2 can - shortcuts/speed key, Hub, etc I do wonder what I do without it! the 6GB of RAM is really helpful too, no slowdown at all, even from when I had my first Key2 last year! The 'Shortcut' key feature is cool AF! I use it all the time for preprogrammed app access. Works beautifully. My PRIV's battery was dying and so I went out and ordered a Key2. Had to wait because none in stock. Wound up with SIX GIG of main memory and 128G of storage. Smoking performance! I'm incredibly happy. My settings have disappeared! Any idea on how to get them back? How do I turn on my ringer for phone only? How do I stop BB hub from showing draft messages in my inbox?